A vitamin-C serum that reportedly smells like hot dog water is the subject of a lawsuit involving beauty giant L’Oréal and cult-favorite Drunk Elephant. The L’Oréal-owned brand Skinceuticals’ CE Ferulic has long been the gold standard of serums, named Allure’s “Best of Beauty” winner three times. This year, however, CE Ferulic was ousted by a newcomer, Drunk Elephant’s C-Firma. Now, L’Oréal is claiming that C-Firma ripped off its formula, according to Vox. L’Oréal, the multinational beauty conglomerate that owns the Skinceuticals brand, is suing an indie competitor, alleging patent infringement. 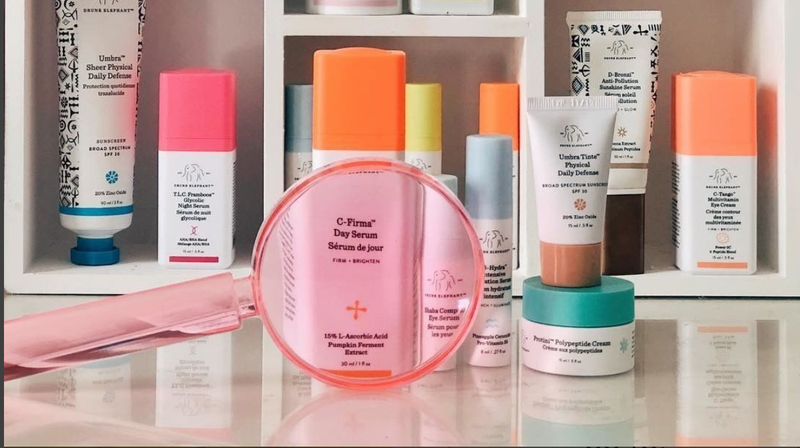 The product in question is Drunk Elephant’s C-Firma serum, which has been widely hailed by skincare fans and publications as a cheaper alternative to Skinceuticals’ cult-favorite vitamin C serum. Vitamin C serums can theoretically even out skin tone and prevent sun damage and wrinkles. To avoid being “duped,” or copied, many cosmetics companies avoid filing patents, which would require disclosing the exact formulation of their products, leaving them susceptible to copycats. L’Oréal is an exception and does hold a patent on CE Ferulic. L’Oréal hopes the patent will give them an advantage in court. But the lawsuit also indicates that we should all grab our C-Firma while the getting’s good, since L’Oréal’s lawsuit basically confirms it’s a spot-on dupe. Recently, Drunk Elephant has become one of the hottest tickets in cosmetics. Forbes reports the brand has received $25 million in investments; among those investors is fashion blogger extraordinaire, Man Repeller’s Leandra Medine. The company is expected to earn $100 million in sales this year. CE Ferulic retails for $166 an ounce, by the way, while C-Firma will set you back $80 an ounce, so not exactly pocket change.